Sharp air-conditioning system is built to last and withstand harsh environments like Singapore. Sharp manufactures different aircon models to suit different users’ needs and comfort. Air-conditioner works the same as other machinery and equipment where there are times the machine or system will face problems during its operation. Despite using superior parts in the system, there will still be chances that the system will face issues in the future. Some of the air-conditioning issues that your Sharp aircon may encounter are such as faulty parts, water leakage, refrigerant leak, malfunctioned system and many more. The Sharp air-conditioner system requires regular maintenance in order to maintain the condition and performance of the Sharp system. We are experienced in checking, diagnosing the cause of your problem and rectifying the problems arising from your Sharp air-conditioner. We are able to perform quality aircon repair services for your Sharp air-conditioning units where our technicians are able to resolve your issues efficiently. Other than that, we are the leading Sharp aircon servicing company in Singapore. You can trust us in handling and maintaining your air-conditioning units in good working condition. In Singapore, it is crucial that the quality of the air that you are breathing in your home or office is clean. A clean and cooling environment is important for people to work, relax or sleep comfortably. At Wei Wei Aircon, we offer a wide range of aircon service such as Sharp aircon servicing, repair, chemical wash, maintenance and installation in Singapore. Regular Sharp air-conditioning servicing is able to clean your units and ensure that they are in good working condition. At the same time, thorough checks will be performed on your system to identify possible symptoms of aircon problems. This will ensure that possible issues are detected and repaired or fix it in the early stage. With our experienced teams of technicians, we are able to provide Sanyo aircon repair for different brands and models of air- conditioning system, including Sharp aircon Singapore. We strive to be your one stop Sharp air-conditioning service provider in Singapore. With our years of experience in the air-conditioning industry, we are able to provide top notch aircon services in Singapore and meet all your Sharp air-conditioning needs in Singapore. If your Sharp air-conditioner does not have regular servicing or maintenance, the chances of your system facing malfunction issues will be higher. Some of the aircon problems that you may face are a malfunctioned aircon, aircon not working, leaking, aircon not cold and many other issues. It is important to engage regular servicing as our technicians will perform checks on the system and detect any possible issues and get it fixed earlier. This will prevent the issues from worsening which could lead to system breakdown. By rectifying the issues in early stage can save you from the hefty repair cost. With our experienced and knowledgeable technicians, we are experienced in Sharp aircon repair in Singapore where we have the tools and equipment to diagnose the cause of your problems. Our technicians are also able to repair your Sharp air-conditioner and regain the functionality of your units efficiently. If you are looking for professional Sharp aircon repair company in Singapore, feel free to contact our friendly staff and we will send our technicians to your home or office and rectify your air-conditioning issues. Other than providing quality aircon servicing and repair services, we also provide quality Sharp aircon chemical wash in Singapore. Aircon chemical wash is one of the most effective aircon services that is able to thoroughly wash out all the dirt, debris and harmful substances such as bacteria, mold that have accumulated in the air-conditioning units. There are many benefits from engaging our chemical cleaning services. Some of the benefits are stronger air flow, cleaner and fresher air, improve cooling efficiency, improve operating efficiency and extend lifespan of your system. Other than that, with the increase in its efficiency, it will reduce the electrical consumption and help you to save on your energy bills in the long run. If your air-conditioner units do not have regular servicing or maintenance, the dust, dirt will build-up around the unit. Over time, this may promote the growth of mold and other harmful substances. In this case, normal aircon servicing will not be able to improve the condition of your air-conditioning system. Thus, by having Sanyo aircon chemical cleaning services, it will clean and wash the aircon and remove all these dirt and dust thoroughly. This will effectively regain the cooling and operating functionality of your Sharp air-conditioner in Singapore. Thus, if you are looking for quality Sharp aircon chemical washing in Singapore, feel free to contact our staff to book an appointment today. Another essential aircon service that is able to upkeep your air-conditioning units is Sharp aircon maintenance in Singapore. By having regular maintenance, our experienced technicians will clean and service your air-conditioning units. Other than that, our technicians will perform a thorough check on your air-conditioning system and ensure that the components and parts are in good working condition. If there are any issues in your air-conditioning system, they will advise you on the solutions and perform repair jobs to rectify the problems. It is one of the important procedures in aircon maintenance as it will allow us to detect any potential issue and get it fixed in the early stage. This will prevent the issues from worsening such as resulting in malfunctioned parts or cause the unit to breakdown which may cost you a sum of money to repair it. Hence, by engaging our Sharp aircon maintenance services in Singapore, we are able to clean and keep your air-conditioning units in top notch condition as well as checking for potential issues. In the long run, the benefits of regular maintenance will definitely outweigh the cost that you have spent on maintenance. At Wei Wei Aircon, we offer attractive and quality Sharp Air-conditioning maintenance contractor for all residential, commercial and industrial customers in Singapore. Do not hesitate and contact us to find out more about our maintenance packages. 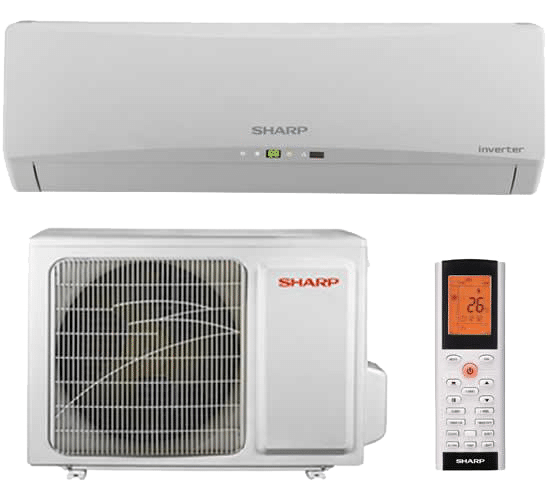 Sharp aircon Singapore has successfully stood out in a competitive air-conditioning market in Singapore where they have successfully manufactured air-conditioner using latest innovative technology. We provide quality Sharp aircon installation for different range of models which will give consumers more options in selecting the most suitable Sharp air-conditioner for their home or office. There are many features and functions in a Sharp air-conditioner system such as the self-cleaning features (specific models), energy saving features, better air circulation (preventing the odour smell and growth of mold) and many more. We aim to provide satisfactory aircon services to our customers in Singapore. Our teams of experienced installer use quality products and equipment for our Sharp aircon installation services. Other than that, our installer is aware of the latest safety procedures and uses the appropriate safety equipment during Sharp aircon replacement and installation. With our years of experience in installing different brands and types of air-conditioner in Singapore, including Sharp system, we are confident in meeting your air-conditioning needs in Singapore. No matter which Sharp air-conditioner models you are looking for, we are able to provide quality installation and replacement services for your home or office. With years of experience in the air-conditioning industry, we are able to service and repair different types and brands of air-conditioner system, including Sharp aircon system. With our experience and latest diagnostic equipment and tools, we are able to provide quality aircon servicing and repair where we can accurately diagnose the cause of the issue. After which, our technicians will advise on the possible solutions to rectify the problems you are facing. Other than that, we are constantly in touch with the latest trends and technologies in the air-conditioning industry so that we are aware and understand the features and servicing procedures for different brands and types of air-conditioner including Sharp units. We understand the essential of quality air and cooling temperature for your room or office. Hence, in every aircon servicing, we will have a thorough check and ensure that your air-conditioner is in good working condition and providing cooling air for your room. Hence, ensure that you and your family are breathing in clean and healthy air by engaging our quality aircon servicing for your Sanyo aircon units. We are able to meet all your air-conditioner needs from aircon repair, servicing, chemical wash, maintenance and installation in Singapore. Contact us to enquiry our aircon services today. At Wei Wei Aircon, we strive to be your one-stop aircon servicing company in Singapore. We believe that everyone should enjoy the cool air and at the same time not compromise their health by having a clean indoor air quality in their room or office. By engaging our aircon servicing, we ensure that your units are cleaned and serviced which will improve the air quality. Our teams of technicians are ready to serve quality services for your home or office. Give us a call anytime and we will arrange a servicing or repair appointment for your Sharp aircon.